Steph, Deb, and Sara charge $45 for an hour private or small group (2-3 riders) lesson. Erica’s rates vary based on rider skill level, potential students may contact her for pricing. We offer horseback riding lessons for beginner through advanced riders ages 4 and up in the english disciplines of hunt seat, dressage, and pleasure riding and in western pleasure and western dressage. Lessons focus on safety and horsemanship with students learning how to groom, tack, and care for the horse and equipment in addition to riding skills. Beginner riders typically start in private lessons and may be moved into small groups as their skills increase. Several of our instructors are certified therapeutic riding instructors or have extensive experience working with individuals with special needs. 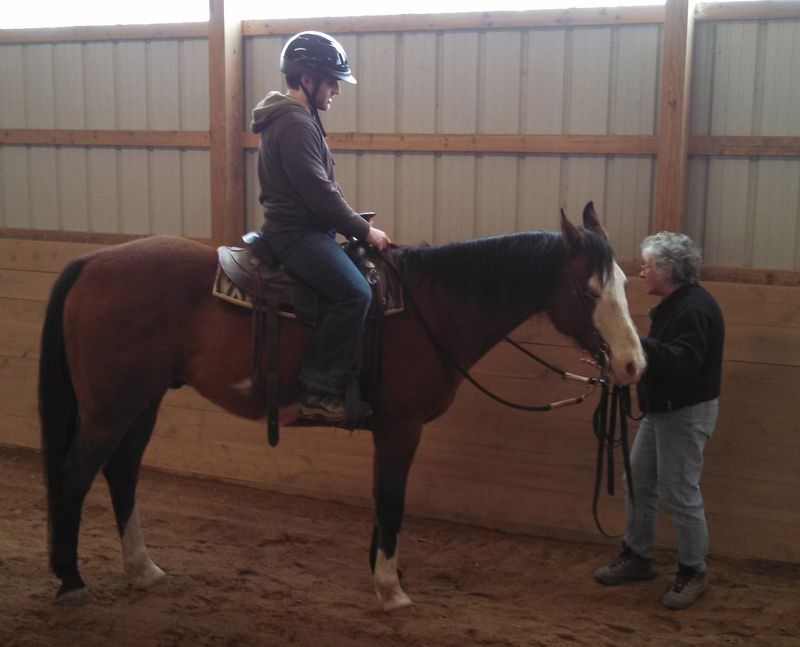 If you are interested in therapeutic riding, please contact us to see if we are able to accommodate your need. Students are asked to wear long pants and leather boots with a small heel. ASTM/SEI approved helmets are also required, and are provided by the facility.